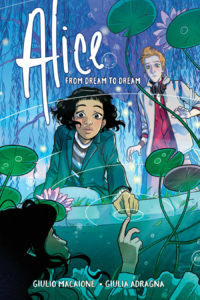 It’s Wednesday my dudes, and that means it’s New Comic Book Day! There are tons of new comics hitting the shelves of your local comic shops every week, and it’s not always easy deciding what to get, let alone what you should add to your pull boxes. 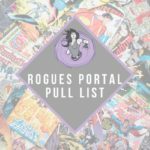 So we’ve put together the Rogues Portal Pull List to show you the best comics that you might have missed! 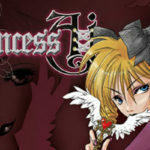 Here’s what we’re getting and what you should check out today! Fearscape reaches Sandman-level brilliance. Could I give a better endorsement than that? Mysteries to solve, a code to hack, the chance to win something, and a network of conspiracy theories. What more do you want? Has it been two months already? 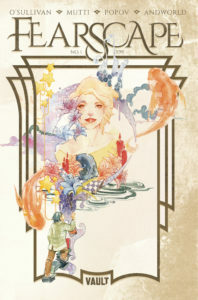 We are six issues in, and I am still not sure if I like this series or not. However, I still have another year to find out. I am glad that Marvel’s Two-In-One is still going, even though the FF are back. I was already looking forward to this book before hearing that Marvel cut Chelsea Cain’s Vision book before it was released. 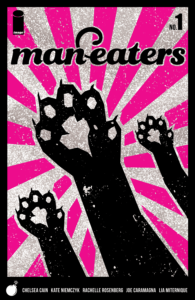 Now, I want this book to go to 10 printings as a sort of middle finger to them. Hasn’t she dealt with enough from the world of comics?! 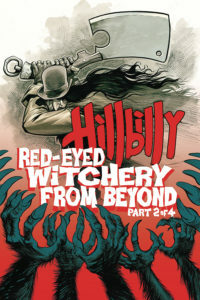 As Halloween season approaches, the greatness of Hillbilly increases. Eric Powell is still firing on all cylinders! Red Sonja continues to be one of the most enjoyable books I read every month. 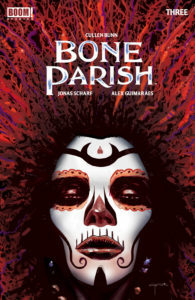 Cullen Bunn continues to hit it out of the park with his unique horror books, Bone Parish is not different. Make sure you grab this issue and the other two if you missed them. Looking forward to where this series takes this group of heroes. Always sign me up for more D&D content please! Lion Forge’s newest gaming story looks charming and inclusive, and I’m very excited. A team up between two awesome female characters in the Valiant U! 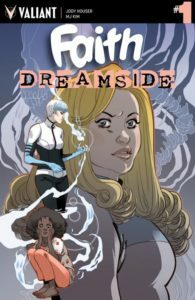 The high flying, plus-sized hero Faith and Shan Fong aka Doctor Mirage! 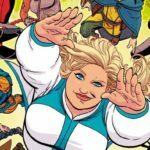 Wrap-up to this summer’s Valiant event. Kindt brings elements from his Eternity series to Earth in X-O Manowar. 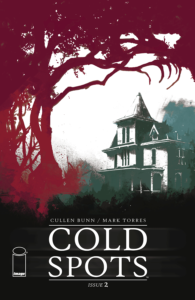 If Kindt is writing it, you can guarantee that I’m reading it. This book is really great you guys. 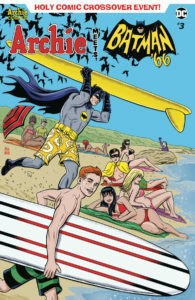 If you’re looking for fun comics in that swingin’ sixties style, seek this one out! 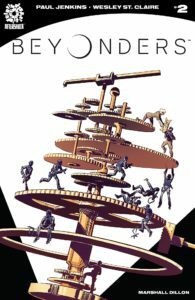 I’ve been remiss in picking up Gail Simone’s run on Domino, but I’m hopeful this annual will give me a nice sampler platter of what I’ve been missing. Looking forward to this one! Not since the Satanic Panic of the ’80s has D&D faced peril like this. 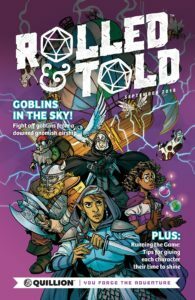 Rick and Morty set loose in the world of Dungeons and Dragons? CANCEL CHRISTMAS. That’s all we have for this week! 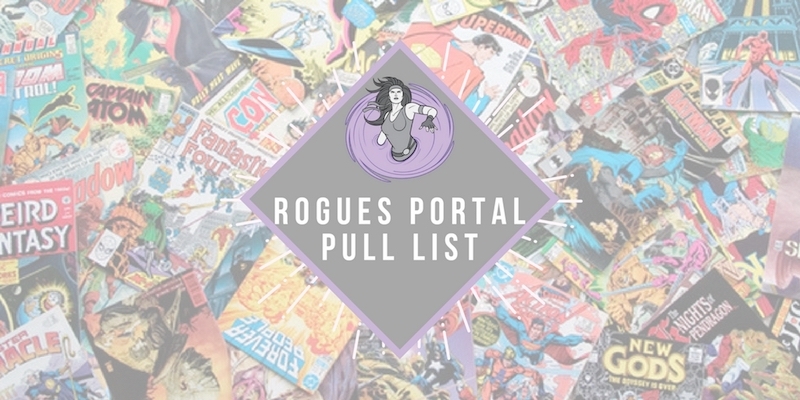 Thanks for checking out the Rogues Portal Pull List! We’ll be back next week with a brand new list for you to check out. Same Bat-Time. Same Bat-Channel!